Get all CFP’s and SACOMM relevant communication in your inbox. We will not share your information with third parties. We communicate Calls for Papers and activities by the various Interest Groups periodically. 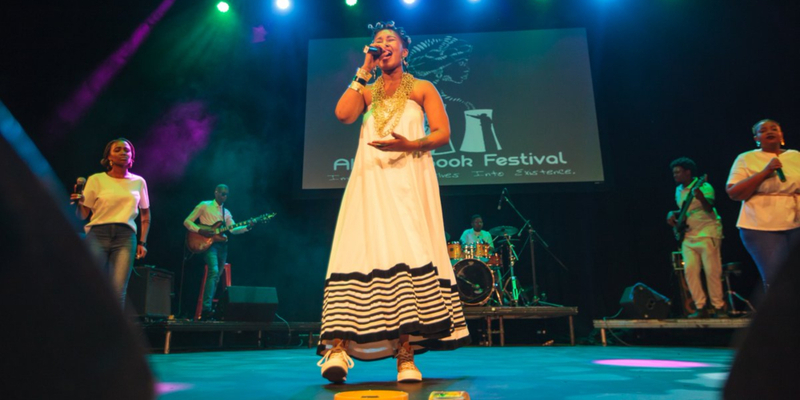 The annual literary feast Abantu Book Festival brought together black poets, academics and authors for a weekend of decolonising the discussion around black literature, changing the narrative and challenging the discourse in a safe space. The line up included legendary Nigerian writer Chimamanda Ngozi Adichie, Professor Pumla Dineo Gqola, poet and activist Diana Ferrus, Zimbabwean author and filmmaker Tsitsi Dangarembga, Advocate Tembeka Ngcukaitobi and so, so many more. From the repatriation of Saartjie Baartman’s remains to the land question and the death of kwaito, the discussions and debates were more than relevant, more than timeous and absolutely essential in healing and unifying black writers and their audience. Catch up or re-live the Abantu Book Festival with The Journalist. In this edition we look at what we can expect in the mid-term US Elections next week. The brutal murder of Jamal Kashoggi indicates that fundamental change in Saudi Arabia will not come soon. Following the Medium Term Budget Speech by newly appointed Finance Minister Tito Mboweni last week, a financial analyst argues that euphoria around political change is slowing and key to transforming the South African economy is rebuilding trust between business and government. Since the passing of hip-hop icon #HHP, talk around depression in black communities can no longer be ignored and a Vice-Chancellor speaks out about mental health on his campus. Gatekeepers in academia are keeping black academics on the sidelines of the industry and a new study looks at the glass ceiling for women working in newsrooms. Liz Khumalo started out as a secretary at the iconic Drum magazine and decades later became the first black female editor-in-chief. A science writer delves into lessons on quantum physics taught by Trevor Noah. We bid a sad farewell to Winston Ntshona. The Journalist is an independent, not-for-profit organisation working with the academic community and a range of credible entities. We are committed to multimedia offerings that delve more deeply into the complex facets of our reality. We don’t just tell you what happened. We help you understand why. The Journalist has been launched with the support of the University of the Free State, the Southern African Clothing & Textile Workers’ Union (SACTWU) and financial contributions from a range of individuals. Students and media lecturers at the University of Free State and the University of Johannesburg and The University of Cape Town are participants in The Journalist. September marks Heritage Month but how do we begin to celebrate and build a more inclusive society in a country marred by the effects of colonialism? Taking financial advice from friends or family members can have devastating consequences. We take a look at how a private girls’ school in Khayelitsha is grabbing the fourth industrial revolution by the horns and two academics tackle the ongoing conflict around the returned human remains from the German inflicted genocide in Namibia. Sophie Tema Mosimane is the pioneer known for writing the article that appeared alongside Sam Nzima’s iconic photograph of Hector Pieterson, who risked her life numerous times for her craft. The challenges facing journalists on the African continent is a focus in the lead up to South African Press Freedom Day and an acclaimed writer looks at how technology will affect the notion of creativity in the future. Read the September Issue here.